As a local supplement of Europe’s largest sport business event the “SPOBIS” the D.LIVE organized its own series of event on the subject of sport/sport business in Dusseldorf in order to set a more concrete focus on Dusseldorf. The goal is to bring together upper-level decision-makers from the city of Dusseldorf from the areas of business, sports, media, politics and society in a roundtable discussion with entertaining character to attract new advocates and supporters of sports in Dusseldorf and put the sports city of Dusseldorf as potential organizer of sports events in and outside the city in the limelight. The SPOBIS is the largest and most important event in Europe for the sports business industry. Beside a varied and comprehensive stage programme with countless top speakers and experts, our Expo presents the developments in the sport and business of the future in collaboration with selected partners from the worlds of technology and digitisation. Numerous side events complement the network and platform concept, and make the SPOBIS the industry meet of the year for all participants – from young professionals to top decision-makers. In order to prepare future leaders of the industry as well as high potentials from other economic sectors optimally to future challenges in sports business, SPONSORS – the leading provider of information and conference organizer in sport business and the WHU – Otto Beisheim School of Management, have founded the SPOAC – Sports Business Academy by WHU. Academic home of the SPOAC is the WHU campus at the Schwanenhöfe within the Flingern district. The SPOAC combines the expertise of two leading companies in their field. In addition, the SPOAC cooperates closely with leading institutions from sports, media and business, who contribute their expertise to training and further education offers. Every 2 years athletes from around the world are fighting for medals at the Olympic and Paralympic Games. The German Olympic and Paralympic family is thereby actively supported by the Dusseldorf Trade Fair for many years in the planning and implementation of the German Houses as a meet and greet for sports, media and Sponsors. The German Sport Marketing (DSM), which is responsible for the German Houses as the official marketing agency of the German Olympic Sports Federation (DOSB), is working together with us since the games in Sydney in 2000. The Olympic and Paralympic Games in Rio de Janero take place in one year. The metropolis on the Copacabana attracts participants with tropical temperatures, white beaches and Brazilian hospitality. The German delegation will pitch their tents near the beach. The German House will arise in Barra Blue Beach Point. In any case, the Dusseldorf Trade Fair is looking forward to build all participating German athletes and officials, media and partners again a common temporary home at the German House in Rio. Thereby, we benefit from our know-how in the management of major events, the experience in dealing with people from different cultures and not least our passion for Sport. 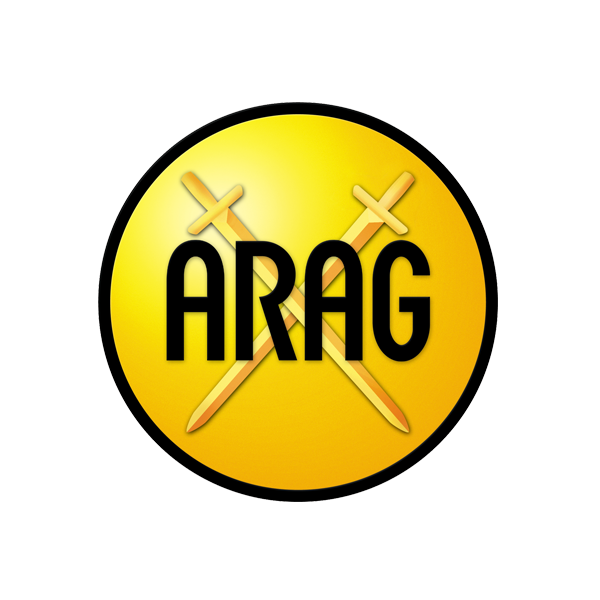 As a versatile quality assurance, the ARAG Group offers almost six million customers in 15 countries insurance solutions around the topics of legal issues, safeguarding, health and precaution. From 80 years of experience as a family company, we know that real independence can only arise from security. Therefore, we help our customers to create space for a self-determined life. In addition, the ARAG is Europe’s biggest sports insurer with more than 20 million insured professional and recreational athletes. As a partner of the sport, we also take responsibility about sport beyond the pure insurance protection. In addition to various activities for the promotion of amateur and professional sports we stand up in the fields of sports injury research and injury prevention. ARAG has been loyal to its home base Dusseldorf since its founding 80 years ago. Our family business with its 3,700 employees worldwide, is headquartered here and is a main sponsor for one of the hallmarks of the Sports City: German table tennis champion Borussia Dusseldorf. „In the sports city of Dusseldorf, many people do sports in clubs every day. The vast majority of them enjoy insurance coverage by the ARAG through a group contract with the Sports Aid Foundation NRW eV. The ARAG Allgemeine is Europe’s largest sports insurer and stands aside more than 20 million professional and recreational athletes with a tailor-made range of insurance services for their athletic club activities. We see ourselves as a partner of sport and take responsibility for sport beyond insurance coverage. In addition to various activities for the promotion of amateur and professional sport, which includes the promotion of youth and talent in the associations and clubs, we are involved in the research and prevention of sports injuries since 1987. So the biggest sporting accident database in Europe has emerged, which helps us to analyze sports accidents accurately and to develop practical measures and concepts to avoid them. To better focus the nationwide existing knowledge about sports injuries in the future, we co-founded the Foundation for Safety in Sport in 2015: ARAG is among other renowned partners such as the German Olympic Sports Confederation, one of the seven founding members and the largest financial supporter. Dusseldorf athletes also benefit from this commitment – for example, through improved training concepts in the clubs. Moreover, the family business ARAG, which since its founding 80 years ago, has its headquarter in Dusseldorf, supports the hallmarks of the Sports City: We are the main sponsor of the German table tennis champion Borussia Dusseldorf – and also ensure the effective promotion of junior table tennis in the region with the framework of the annual mini-championships. Breyer, Kaymak & Klabe Eye Surgery at the Dusseldorf Shadow Arcades belongs to the top addresses for minimally invasive laser eye surgery, laser treatments and innovative outpatient eye surgery worldwide. Thanks to the high specialization of the three senior surgeons Drs. Breyer, Kaymak and Klabe, they are actively involved in scientific research and perform all treatments according to the latest international scientific knowledge. Whether as a speaker at international conferences, as a reviewer of renowned journals or in the context of cooperations with the University Eye Hospitals of Heidelberg and Tübingen: They are in close contact with colleagues around the world. Each of the doctors has received numerous awards from major professional societies; since 2013 Dr. Detlev Breyer is run as a top medical doctor in the Focus Doctors List. Das interdisziplinäre Team aus Orthopäden, Neurochirurgen und radiologischem Zentrum bietet Privat- und Kassenpatienten gleichermaßen zeitgemäße Diagnostik, Labortechnik und operative und nicht-operative Therapien unter einem Dach und aus einer Hand. Als von der Berufsgenossenschaft zugelassene Durchgangsärzte untersuchen wir auch Patienten nach Sportunfällen. Ein Schwerpunkt der Praxis liegt dabei in der Therapie von orthopädischen / neurochirurgischen Beschwerden mit Biologica sowie umfangreicher alternativer Heilverfahren. Selbstverständlich umfasst das orthopädische Therapiespektrum auch die Behandlung des gesamten knöchernen Bewegungsapparates sowie sämtlicher Muskel – und Sehnengruppen. The Industrieterrains Düsseldorf-Reisholz AG is one of the largest commercial real estate project developers and managers in Dusseldorf and nearby. Since its founding in 1898 the IDRAG has realized numerous real estate concepts – from the office and logistics real estate, industrial parks, craftsmen’s courtyards, retail and catering buildings to museums, daycare and park houses – in the Dusseldorf area and usually included in its own portfolio for long-term value. 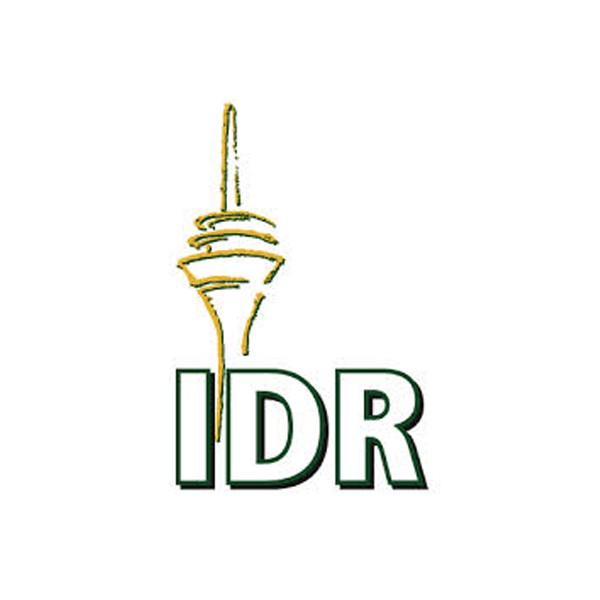 Today more than 30 properties and about 70 leasehold properties belong to the IDR. The most outstanding objects include the Rhine Tower, the ISS DOME, the Henkelsaal, but also the museum KIT (Kunst im Tunnel) or the Eller Castle, planned, realized and self-managed by the IDR. In addition, as project controller the IDR AG contributed for the state capital Dusseldorf the most powerful individual construction, the city has ever planned: The ESPRIT arena. But even at the Nobel property Kö-Bogen, the connecting element between the Königsallee and the Hofgarten, the IDR AG operated successfully by project management services. Klüh Service Management GmbH is an international multi-service provider. Founded in 1911, the company has decades of experience in the area of infrastructural services and offers bundled services with a high level of vertical integration. Fields of activity are Cleaning, Catering, Clinic Services, Facility Management, Security and Airport Service. With almost 42.000 employees in nine countries, the company had sales of € 631 million in 2014. With a turnover of EUR 412 million in 2014, the Messe Düsseldorf Group has again confirmed its position as one of Germany’s most successful trade fair companies. During that year more than 31,000 exhibitors presented their products to 1.4 million trade visitors. Add to this more than half a million congress delegates. The Messe Düsseldorf Group is a leading global platform for export. About 50 trade fairs, including 24 number-one events, take place at the Düsseldorf Exhibition Centre in five areas of expertise: machinery, plant and equipment, retail, skilled trades and services, medicine and health, fashion and lifestyle as well as leisure. In addition, Messe Düsseldorf runs between 80 and 100 proprietary events, international participations and third-party events in other countries. Messe Düsseldorf GmbH ranks first in terms of international capital goods exhibitions. The international share at the company’s proprietary trade fairs in machinery, plant and equipment in 2014 was about 74 per cent for exhibitors and 65 per cent for trade visitors; customers travel to the Rhine from about 180 countries. The Group has a global network of sales organisations in 134 countries (73 international representation offices) as well as centres of expertise in eight countries. Orth Kluth – A passion for law. 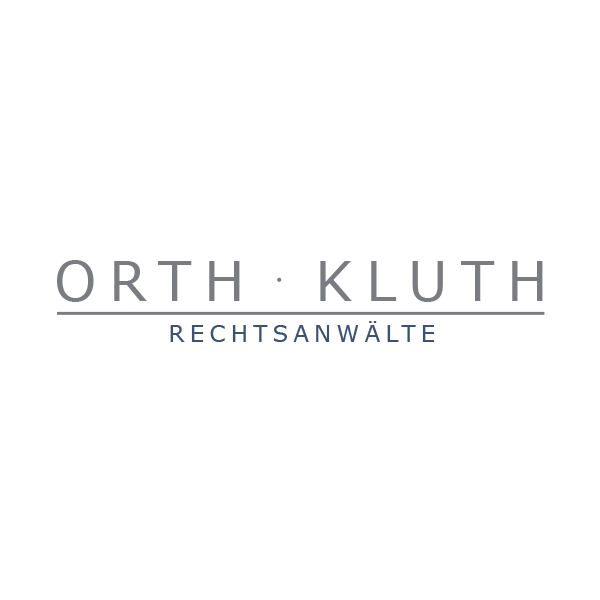 Orth Kluth stands for legal advice entirely tailored to your needs. With our commitment and passionate enthusiasm for your matter, we help you to achieve your objectives. Our lawyers are experts with an eye for the bigger picture. Efficiency, hands-on mentality, and a favorable cost structure are the benchmarks of our services. We excel in providing creative solutions even in the most challenging and complex projects. Clients ranging from medium-sized business to international groups put their trust in us. More than a direct bank. With competitive rates direct banks are a reasonable choice. But sometimes you just want more. More consultation, more service, more proximity. 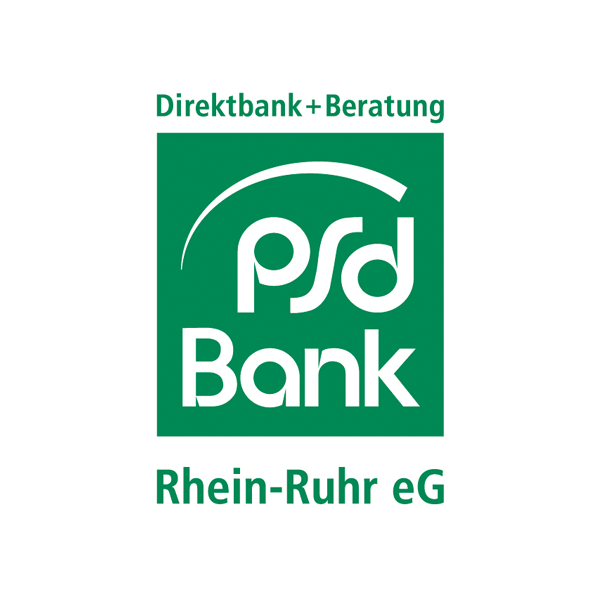 And that’s what the PSD Bank Rhine-Ruhr eG offers you – as your advisory direct bank. On more than 300 m2, we have created one of the most advanced physiotherapy centers in Germany in Dusseldorf. Here we offer our patients a unique setting for an undisturbed, relaxed and successful treatment time on exclusively equipped and modern premises. We attach utmost attention to protecting the privacy of our patients. We place great emphasis on continuous training and further education of our employees, so that you are always treated in accordance with the latest scientific knowledge. Our therapy center is equipped with modern training and therapy devices, to be able to guarantee perfect conditions for optimum treatment and care of our patients. In order to achieve an optimal treatment outcome, we offer our patients additional, practice internally the possibility of medical training therapy (MTT) in our spacious workout area. „We make your body perform“ describes our commitment to optimize each individual physical condition. Our team of highly qualified experts has the motivation, to assist our patients to the extent that they overcome their personal challenges optimally and achieve their goals. In order to deal with each of our patients successfully, our treatment center brings together virtually all therapeutic possibilities in addition to numerous ultramodern diagnostic procedures. „We make your body perform“. Stadtwerke Dusseldorf was founded over 150 years ago and supplies more than 60,000 customers in Dusseldorf and the region with electricity, natural gas and district heating. The extraction, processing and distribution of drinking water is also a key task of the company. 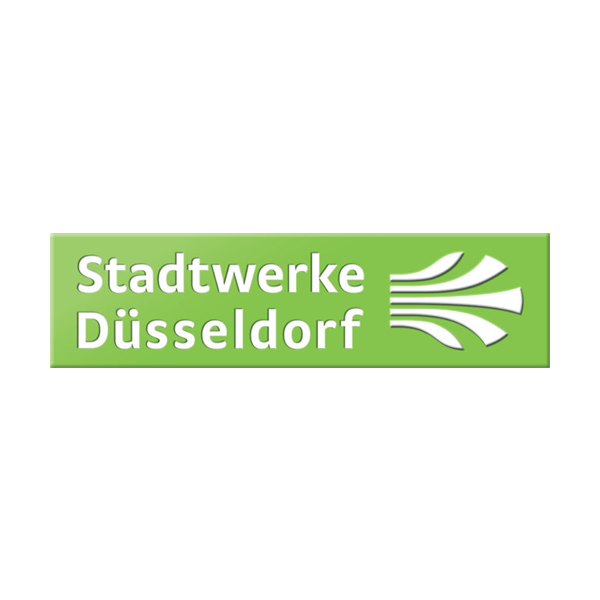 In addition, Stadtwerke Dusseldorf is involved in many areas of social life. As a partner of the Dusseldorf Sports we are, along with our major sponsorship commitment with Fortuna Dusseldorf and DEG, also active in amateur sports. We are a long-time sponsor of the City Sports Federation and are pleased to have a presence in many areas of sport. As title sponsor, we are visible in Stadtwerke Dusseldorf Kö-Run and the Stadtwerke Dusseldorf children and families Triathlon. Terex Material Handling & Port Solutions is one of the world’s leading suppliers of industrial cranes and crane components of the Demag brand as well as harbor cranes and port automation technology of the brands Terex®Gottwald and Terex. Terex Material Handling & Port Solutions is a segment of the international engineering group Terex Corporation, headquartered in the United States. In Dusseldorf, as a trendsetter, the company manufactures the world’s leading port technology and develops, among others, automated solutions for container handling. From here, the international port business Terex is carried out, with additional locations in Würzburg, Lentigione (Italy), Montceau-Les-Mines (France) and Xiamen (China). For Terex, Dusseldorf is an important manufacturing, development and administration site with an approximately 1000-strong team. Here, the company provides training in 11 varied production occupations and offers many opportunities for internal careers with an attractive development program. The Tulip Inn Düsseldorf sees itself as a good host for athletes and businesspeople from around the world. With its very personal and flexible service, it offers the basis for peak performance in sport and profession. The hotel focuses consistently on the core competencies of Business and Sport and enhances its existing offering by being a sponsor of the sport-city Dusseldorf. “In addition to our business guests, we have concentrated our core competence on the accommodation of athletes, as well as conducting conferences in the field of elite sports, consequently transforming ourselves into one of the most well-known patrons of sport in this city.” says Nicola Stratmann, Managing Partner of the Tulip Inn hotels. The Arena Hotel Tulip Inn is, for instance, hosting the athletes at the PSD Bank Meeting, is host of the “Night of the Düsseldorf Sports”, and is partner of table tennis champions Borussia Düsseldorf, as well as the team hotel of Fortuna. International teams, athletes and associations visit the hotel, with its 288 rooms, regularly. 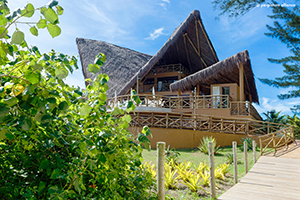 About 110 employees, under the direction of managing partner Nicola Stratmann, look after approximately 80,000 guests with the aim to provide an enjoyable and memorable stay. The passion for sport is also seen architecturally: The hotel is integrated into the Arena, it offers from its restaurant and onsite stadium terrace a unique view into the sporting temple. The Tulip Inn was opened in 2007. Since 2010, the three-star superior hotel has been managed by Nicola Stratmann and Tillmann Liedtke as an independent enterprise. There are currently 70 Tulip Inn hotels in 23 countries. For the fifth time in a row, the Duesseldorf hotel was awarded as the best hotel of its group of companies. Take advantage of the sports city of Dusseldorf as an attractive advertising platform for your company and become an active supporter and partner of the Dusseldorf sport. We offer you diverse and tailored advertising opportunities. Please contact us for a personal meeting to put together jointly an individual service package.